CAP CANA, DOMINICAN REPUBLIC – Fishing Lodge Cap Cana, the highly anticipated luxury resort development on the Eastern tip of the Dominican Republic, is scheduled to open to guests as a Salamander Marina & Beach Resort on October 1, 2011, and begin taking reservations in July. Fishing Lodge will include 302 spacious, Mediterranean-style villas with stunning marina views, designer furnishings and innovative architecture – 220 of which will be available to resort guests. Built on low-rise docks, they range in size from executive to three-bedroom royal suites, while many feature private infinity pools and swim-out access. Guests and owners will also enjoy a secluded beach, which is a delightful two-minute ride by private watercraft. 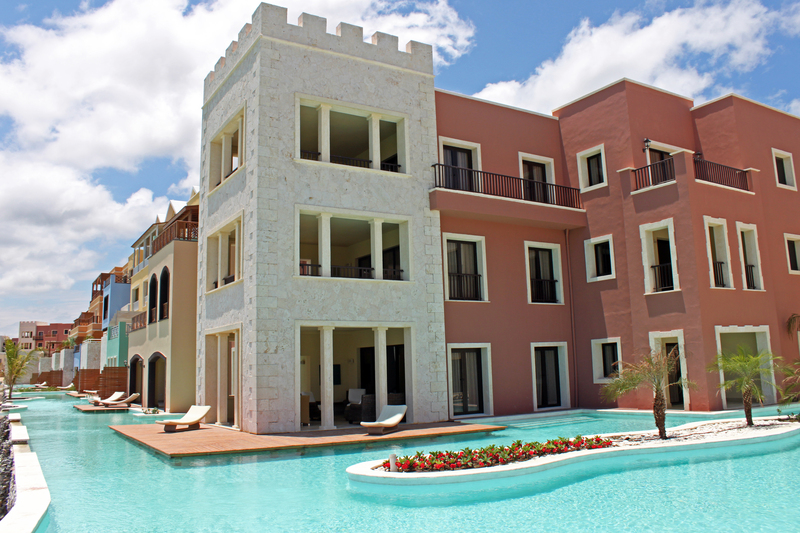 As the first property to open within Salamander’s Grand Resorts at Cap Cana collection, Fishing Lodge is located within a masterfully designed village which surrounds the largest inland marina in the Caribbean. At the initial opening of the resort, spectacular amenities will include two restaurants and two bars, four pools, a chapel, fitness center, and boutique shops on Main Street and plaza settings. 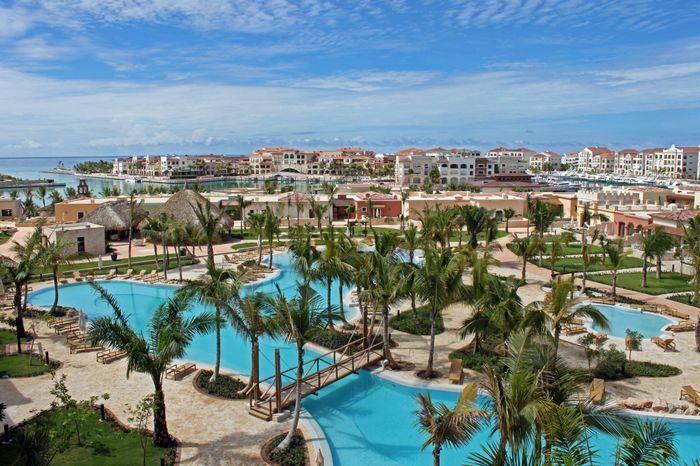 The second property, Ocean Club Cap Cana, will open in 2012 as a 92-room boutique-style hotel, romantically situated where the marina meets the Caribbean Sea. Unlike many other Dominican destinations which are only all-inclusive, the Fishing Lodge experience will be open to all guest types and stays – from family reunions to executive group retreats – and also features a Jack Nicklaus Signature experience at the exclusive Punta Espada Golf Club, the top-ranked golf course in the Caribbean and Mexico. Guests and owners will also enjoy children’s activities, boat rentals, sport fishing and nautical provisioning. Future restaurants, a nightclub, and additional shops are also planned. Salamander was founded in 2005 by Johnson, who also has ownership in three professional sports teams: the WNBA’s Washington Mystics, the NBA’s Washington Wizards and the NHL’s Washington Capitals. In addition to the Fishing Lodge, the portfolio currently includes the recently renovated Innisbrook resort near Tampa, FL., host to the PGA TOUR Transitions Championship; the Forbes Five Star- and AAA Five Diamond-rated Woodlands Inn near Charleston, SC; and the under-construction Salamander Resort & Spa, a 340-acre equestrian-themed resort located near Washington, D.C. The resort’s village-style, marina-oriented surroundings provide an array of amenities for which homeowners and residents would normally need to join several clubs to enjoy. Fishing Lodge’s impeccably decorated and furnished condominiums range in size from 850 to 4,300 square feet, and, while the majority of the residences have already been purchased, there is still a premier selection of one-, two- and three-bedroom homes available. Homeowners are invited to a grand opening celebration this summer to meet the Salamander team and enjoy the spectacular new amenities. In addition to Punta Espada Golf Club, which features more oceanfront holes than any other layout in the Western hemisphere, the area’s numerous other courses – designed by such luminaries as P.B. Dye and Tom Fazio – create an unrivalled golf vacation destination. A second Jack Nicklaus Signature design, Las Iguanas, is currently under construction in Cap Cana. Located less than 10 minutes from the modern International Punta Cana airport, which is served by more than 40 airlines offering over 100 flights from around the world, Fishing Lodge will feature an array of unique meeting and conference spaces, as well as stunning outdoor function and wedding options, including a historically designed, Mediterranean-style chapel overlooking the marina. 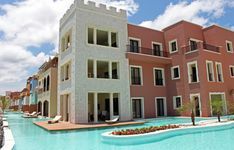 Special introductory guest rates of $129-599 per night at Fishing Lodge Cap Cana are available from October 1-December 31, 2011, ranging across all styles and sizes of accommodation options. Usual rates range from $275-725 per night. For more information, including group bookings, visit www.FishingLodgeCapCana.com or e-mail fishinglodge@salamanderhotels.com. To call, use 1-866-855-4886 (within the US), 1-888-751-8544 (within the Dominican) or 1-540-687-3710 (other international countries). The resort will begin taking reservations in July, 2011. 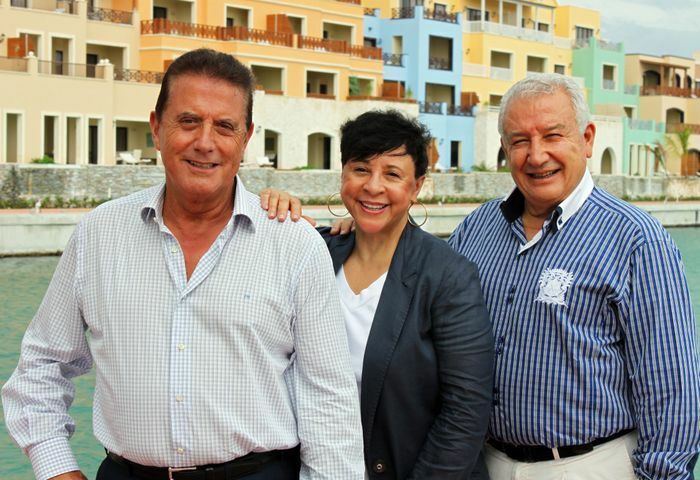 Corporacion Hotelera Del Mar (CHM) was founded by Juan Pelayo and Paco Martinez, both of whom are successful purveyors, packagers and distributors of high-quality meat products in Europe – operations that have been lauded by the Spanish government for their state-of-the-art approach to business. Headquartered in Spain, CHM owns, plans and develops luxurious hotel properties on or near some of the most beautiful bodies of water in the world. Its portfolio includes stellar properties in Cap Cana, Dominican Republic, including Fishing Lodge Cap Cana and the soon-to-open, boutique-style Ocean Club hotel. Salamander Hotels & Resorts is a privately owned and operated company based in Middleburg, VA, just outside Washington, D.C. Founded by entrepreneur Sheila C. Johnson in 2005, the company manages and develops hotels, resorts and inns that reflect the authenticity and character of their surrounding environment. The portfolio currently includes the recently renovated Innisbrook resort near Tampa, FL., host to the PGA TOUR Transitions Championship every March and the LPGA Legends Tour Open Championship in November; Woodlands Inn near Charleston, SC, which is one of only six properties in North America to hold Forbes Five-Star and AAA Five Diamond ratings for both accommodations and dining; Fishing Lodge Cap Cana, a luxurious resort development on the East Coast of the Dominican Republic opening on October 1, 2011; and the under-construction Salamander Resort & Spa in Middleburg, a 340-acre equestrian-themed resort located near Washington, D.C. For additional information, call (540) 687-3710 or visit www.salamanderhotels.com. Fishing Lodge Cap Cana is located within a masterfully designed village which surrounds the largest inland marina in the Caribbean. At the initial opening of the resort, spectacular amenities will include two restaurants and two bars, four pools, a chapel, fitness center, and boutique shops on Main Street and plaza settings.